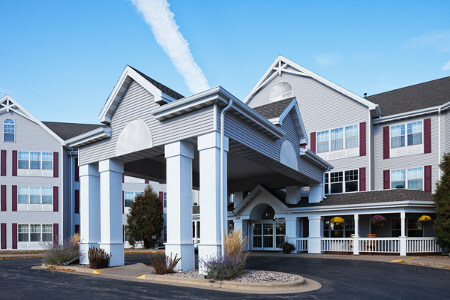 About 30 minutes from Green Bay and Lambeau Field, the pet-friendly Country Inn & Suites® by Radisson, Appleton, WI offers a quiet and convenient location on I-41. If you’re arriving by plane, the hotel provides a free airport shuttle to and from Appleton International Airport (ATW), perfect for business or game-day travelers. After cheering on the Packers, treat yourself to a laser show at the Barlow Planetarium or return to the hotel and walk along the paved pathway to shop at Fox River Mall next door. Looking to maximize your relaxation? Reserve a Whirlpool Suite to enjoy an in-room whirlpool tub in addition to a king-size bed and a wet bar. 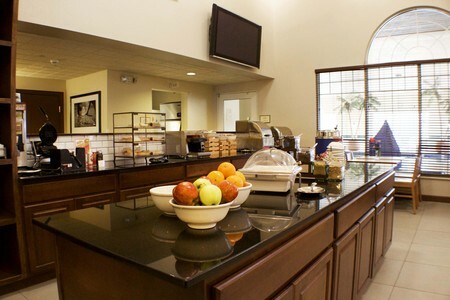 Guests love our free, hot breakfast, which features Belgian waffles, various cereals and fresh fruit. An endless supply of fresh coffee is also available to kick-start your day. For lunch or dinner, stop by one of the nearby restaurants, many of which are within walking distance. Victoria’s serves huge portions of classic Italian fare, and George’s Steak House dishes out seafood and thick-cut steaks. Fox River Mall – Only five minutes from the hotel, this shopping center is one of Wisconsin’s largest, featuring more than 180 stores such as Macy’s, World Market and Banana Republic. Need a break? Watch the kids romp around the playground while you grab a drink at the gourmet coffee shop. History Museum at the Castle – Located 10 minutes away in downtown Appleton, this fascinating museum focuses on the history of the Fox River Valley and on one of its most famous residents, Harry Houdini. Learn the tricks of his trade by picking locks and slipping off handcuffs. Barlow Planetarium – You can explore the cosmos from the comfort of your chair at Barlow Planetarium, just 15 minutes from the hotel. During the fall and winter, check out the laser shows choreographed to music from Led Zeppelin, Katy Perry, Patsy Cline and more. Located minutes from I-41 and the ATW airport, our hotel is the perfect place to host your event in Appleton. We offer 500 square feet of meeting space with access to free Wi-Fi and audiovisual equipment. Our friendly staff is on hand to assist with setup, catering arrangements and complimentary water service. 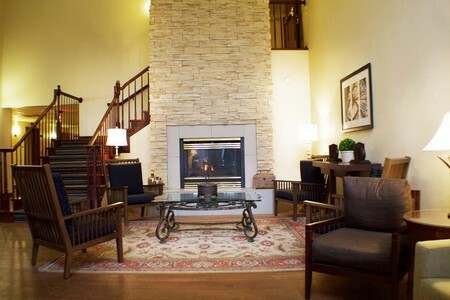 Be sure to ask about our group rates for your overnight guests.